Economic and Commercial Attaché to the United States Consulate for Western France Eric Beaty will visit the University of Kentucky Tuesday, April 26, for the last College of Arts and Sciences Year of Europe event this academic year. Peter Fallon, poet and founder and director of Gallery Press, Ireland's preeminent publisher of poetry and drama, will explore the tradition of Irish literary publishing as part of the 2016 International Hammer Book Arts Biennale Lecture presented April 12. When is Parmigiano Reggiano cheese not Parmesan cheese? When it’s not made in a small area in northern Italy. The continent of Europe has a fascinating past, but it is also a vital part of the contemporary world and will undoubtedly play a considerable role in shaping the future. 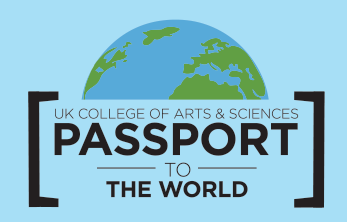 This year, the University of Kentucky College of Arts and Sciences’ Passport to the World program will focus on the Year of Europe. and travel opportunities. After past programs with South Africa, China, Russia, Mexico, and the Middle-East, A&S is shifting its focus to Europe for the 2015-2016 academic year.